Our current outlook, often false perceptions, of predators such as the Wolf, follows a long history of not only being misunderstood, but hunted to almost extinction many times throughout history. As usual prejudice, hatred, and ignorance is the enemy of the wolf. As those who slaughtered the Buffalo, many hunters and trappers killing not for food or safety, rather for the photographic-moment. And yet scientific studies, the past and throughout our data collecting activities in history, show beyond a doubt the Wolf remains a positive element within their environment. Adolph Murie, a most noted and well respected biologist, observed Wolves for years. This also stated overwhelming as fact within any wild environment the Wolf is placed, despite what breed they may be, and whatever wildlife may exist there. This is well researched data, heavily documented by many biologists throughout history, and all agree. What many legitimate biologists (i.e. with no political agenda) disagree to is what is being stated today as truth, from both ranchers/farmers and our government regulators, is the fact of Wolves killing for the fun of it, or to kill unnecessarily. This is simply bogus information and not found within quantifiable data of any research, or from anyone who follows Wolves in the wild. Dr. Murie had also noted the close relationships among each pack, and the “. . . remarkable friendship” among the members of the pack. This was born out time and time again throughout many more studies and throughout data from other biologists. Also throughout the years it becomes quite obvious authorities never learn their lesson from history. 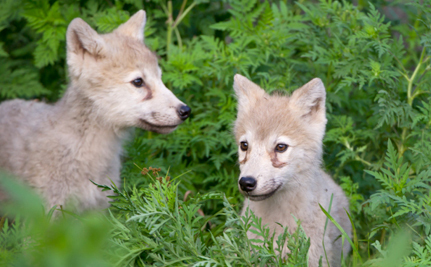 Data overwhelmingly demonstrates that hunters and trappers, for Wolves in this case, are only able to use livestock losses as a rationale to kill them. And as history shows often, this rationale is flawed, and as in the past it is currently and greatly over exaggerated by livestock owners. Reading the material, that is actual livestock killed by wolves, can be easily deciphered as untrue when compared to reality and even the slightest of investigation regarding the information. So within an ignorant context the wolves are once again killed for what appears to be bragging or photographic rights, rather than any ethical or required kill. Many die-hard trappers also remain totally uninformed about the Wolf’s ecology. Many state Fish and Game Departments also remain aloof to the Wolf and its positive attributes toward local ecology, mostly due to politics. These same regulators of our wildlife assume hunting license sales and availability of the wildlife the priority, rather than any factual data showing the established kill-rate of wolves to be truthful or correct. Yet these same administrators knowingly lie to legislators to obtain funding for their programs, again obvious and contrary to fact with only a slight investigation into the material or data. Legislator’s simply turn the other way in their ever present need for votes, and to blatantly ignore the useless killing and sacrifice of the Wolf. A psychological disconnection, so to speak, is promoted by a physical disconnection, a blatant cause with no cure. Unfortunately, a simple fact blossoms into an enormous and disgusting reality. The different specie Wolves being killed today are the remnants of pure-breed stock. The Red Wolf, for example, known to come from early Pleistocene is, like so many other breeds that have become and are on the way of becoming, hybridized. Their species become so diluted in the 1970s that a pure breed of Red Wolf diminished entirely within the wild. And on it goes with the only existing pure-breeds of wolves left in the world, in Idaho, Montana, Oregon, Washington, Utah, and northern California. Yet this so significant of fact is ignored, set aside for, well, ignorance. True enough, sub-species exist, but in no way similar to their original blood-line. So we find ignorance within our society to be consequential toward eliminating yet another class of wild animal specie, the Wolf. Ironically, this elimination is cataloged with further ignorance from the hunters themselves, a displaced pride in actually killing and eliminating an entire species. We also find, and see quite often, government regulators taking part in the elimination of the Wolf. Their responsibility to protect them obviously set aside – all for the kill and the temporary ignorant lust that seems to follow the kill. Wolves are beneficial to our wild environment – research data is robust and available for all to review this as fact. Essentially, where wolves do exist a healthy wild life environment also exists. So why are we killing wolves? For nothing more than to have photos taken with the dead wolves! A sorry and sad reason for something so significant! In the United States we have laws, as we are a law-given society. It is when these laws are ignored and small groups, profoundly become extremely wealthy on the backs of the general public, that we must take heed in regard to the law. We must demand Conflicts of Interest situations to be discontinued, and at the same time consider as fact the true difference between policy and the law. The wealth, in this case, generated from an overwhelming interest of Welfare Ranchers and specifically by the BLM and within a small portion of the United States, receives tremendous amounts of tax payer dollars, with no return to the tax payer and general public situations what so ever, as well who are the actual owners of public lands. These situations are within “Every” definition of Conflict of Interest given, both government and private; and yet ignored in total! Why? “The BLM administers nearly 18,000 permits and leases held by ranchers who graze their livestock, mostly cattle and sheep, at least part of the year on more than 21,000 allotments under BLM management. 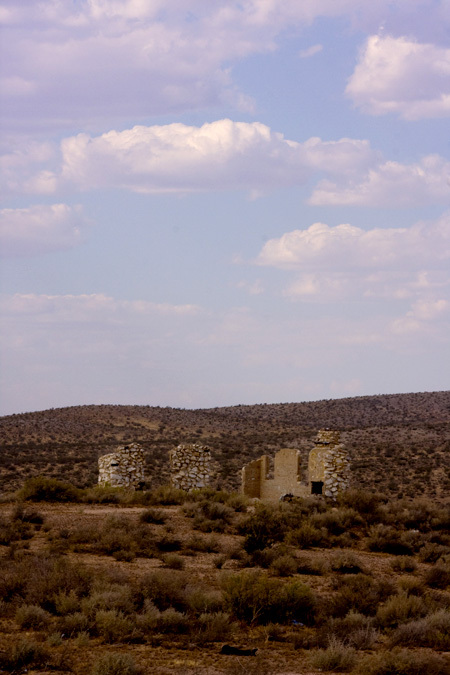 Permits and leases generally cover a 10-year period and are renewable if the BLM determines that the terms and conditions of the expiring permit or lease are being met. The amount of grazing that takes place each year on BLM-managed lands can be affected by such factors as drought, wildfire, and market conditions,” Fact Sheet on the BLM’s Management of Livestock Grazing. The controversy starts as it is becoming more and more prevalent that the BLM, a United States government agency, has a foremost priority, or mission, to obtain benefits and do daily job situations that benefits the particular area’s cattle industry; wherever that may be. The wild horse herd roundups and the killing of wolves becomes two primary examples of death and destruction of the same habitats, and quite costly to tax payers as well. This is a contradictory situation, as described in BLM’s many contradictory documents, and within “All” policy and “Laws” that initially setup the public lands for the public’s use. This becomes sadly obvious because of this same Conflict of Interest situation between a specific government agency and cattle ranchers and their lobby groups. This needs to be corrected immediately! It has gone-on too long and Laws and ethics violations continue to evolve on a daily basis! So what is untrue, in a realistic ironic statement by the BLM, is this, “In managing livestock grazing on public rangelands, the BLM’s overall objective is to ensure the long-term health and productivity of these lands and to create multiple environmental benefits that result from healthy watersheds. The Bureau administers public land ranching in accordance with the Taylor Grazing Act of 1934, and in so doing provides livestock-based economic opportunities in rural communities while contributing to the West’s, and America’s, social fabric and identity,” Fact Sheet on the BLM’s Management of Livestock Grazing. “The Taylor Grazing Act of 1934 (43 USC 315), signed by President Roosevelt, was intended to “stop injury to the public grazing lands [excluding Alaska] by preventing overgrazing and soil deterioration; to provide for their orderly use, improvement, and development; [and] to stabilize the livestock industry dependent upon the public range” (USDI 1988). This Act was pre-empted by the Federal Land Policy and Management Act of 1976 (FLPMA),” i.e. Taylor Grazing Act of 1934. One of the primary problems with these documents is either government agency personnel do not read these documents, i.e. Policy, or they ignore the documents in total as well as ignore the current laws and precedence established in many cases in regard to the Conflicts of Interest (i.e. Laws). Either way, the public lands managed currently by the BLM are indeed mismanaged, make no doubt about that. Currently it is too the point of idiotic, as the daily complaints become more and more in regard to the Conflicts of Interest and apparent destruction of public lands habitat (i.e. photos and videos prevalent), and removing and killing wildlife without regard toward techniques (photos and videos prevalent). Yes, what has been troublesome here is the arrogant use of abusive techniques and management by abuse as well as useless crippling and slaughter being done daily, by government employees and private contractors (i.e. photos and videos prevalent)? One has got to wonder how our government agencies and their employees have gotten to this point, with an assumptive “acceptable abuse” management principle. Government employees and private contractors within the government are both governed by a strict set of ethics and principles, noteworthy here is the definition of Conflict of Interest. “The SGE category was created by Congress as a way to apply an important, but Limited, set of conflict of interest requirements to a group of individuals who provide important but limited services to the Government. (i.e. Manning, Federal Conflict of Interest Law 30 (1964).” These exist whether stated in a contract or not, as exemplary as well as binding. “The first and perhaps most important point to emphasize is that SGEs are Government employees, for purposes of the conflict of interest laws. Specifically, an SGE is defined, in 18 U.S.C. § 202(a), as “an officer or employee . . . who is retained, designated, appointed, or employed” by the Government to perform temporary duties, with or without compensation, for not more than 130 days during any period of 365 consecutive days.” Precedent and Laws governing this situation can be perused here: CONFLICT OF INTEREST AND THE SPECIAL GOVERNMENT EMPLOYEE. Again and without a doubt, all contracts abide by the Laws and ethics situations in accord with government law and policy. “Each year OGE issues a survey of prosecutions involving the conflict of interest criminal statutes (18 U.S.C. §§ 202-209). Information on the prosecutions by U.S. Attorneys’ offices and the Public Integrity Section of the Department of Justice’s Criminal Division is provided to OGE with the assistance of the Executive Office for United States Attorneys at the Department of Justice,” review: Conflict of Interest Prosecution Surveys. We see on the Internet or while visiting a wild horse herd round up, abuse as well as legal and ethics violations remain abundant. We see the ignorant abuse on the Internet constantly, of those killing and torturing wolves, abundantly. Our government and legislators sit back and do nothing, ignoring the Conflict of Interest and breaking of the Law, abundantly. Why? Within the research is the undeniable situation of Conflict of Interest Laws and Policy being violated, especially between the BLM and the cattle industry? We also, without much effort, can locate information that show beyond a doubt the cattle industry, or a specific special interest group, is making a lot of money due to legislative actions, or lack of action, in regard to wild horse herd roundups and the killing of wolves. Simply stated, and without any type of civilized-reaction or doubt, these Conflicts of Interest Must Stop Immediately. Our legislators must be informed weekly, if not daily to stop this kind of uncivilized, ignorant, and inhumane conduct! Taxpayers can no longer support this obvious violation of laws and violations of our natural habitats. Ecosystems on our Public Lands are destroyed due to cattle grazing, below 1% of industry production, and we pay three times the amount at the store as well as pay for this same beef on Public Lands — essentially three seperate occasions of paying for the same beef!